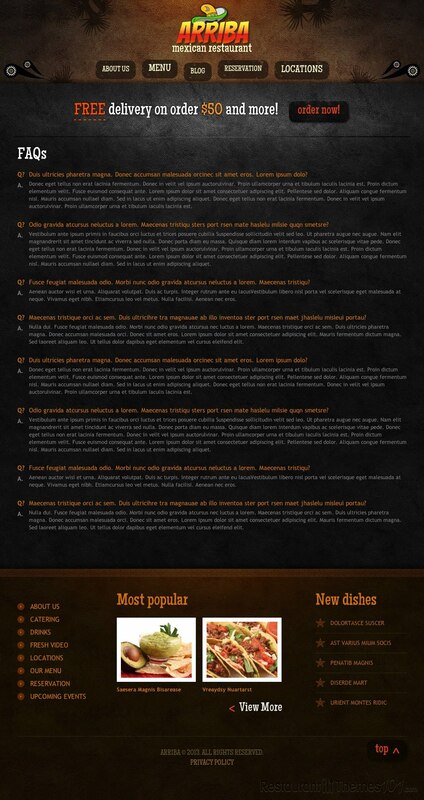 Arriba is a WordPress Mexican restaurant theme featured on Template Monster and created by Delta. 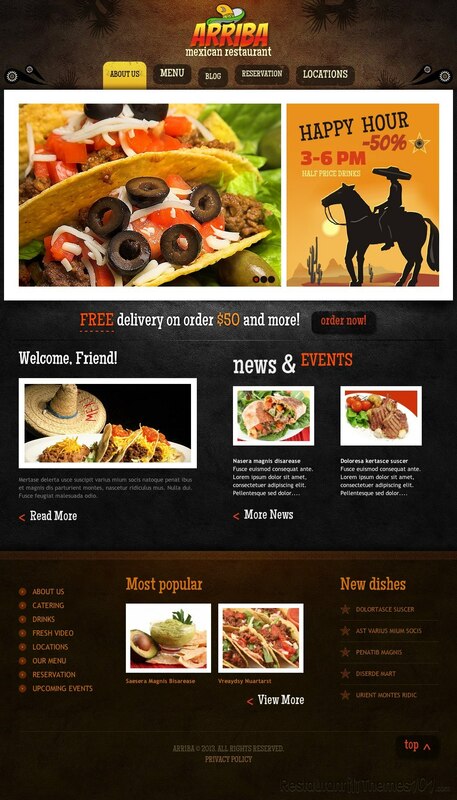 It has a very nice layout which fits Mexican restaurants perfectly. The theme features many useful options that will help you make your website extremely functional and attractive. 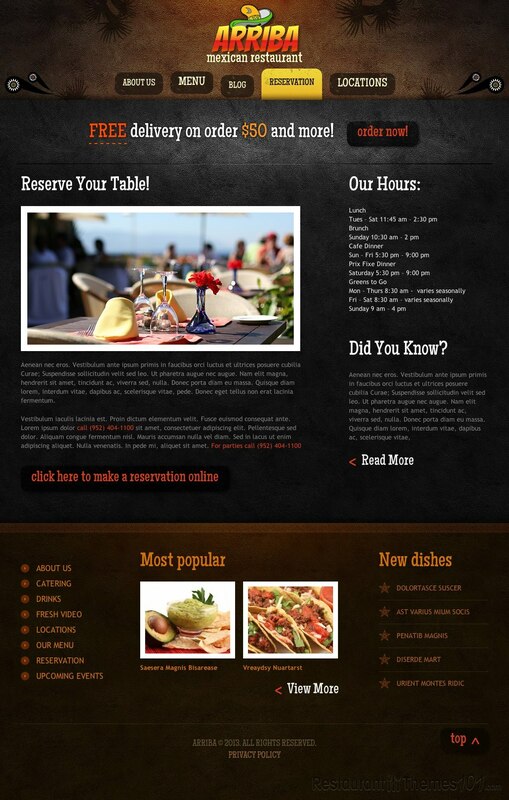 The theme is widget ready and the layout is packed perfectly to put your delicacies in the spotlight. The homepage contains a slider area, a before content area, then right and left content area under, and a 1st, 2nd and 3rd footer area. The theme features a great looking slider you can place on your homepage and showcase whatever you want with it. Show off with your best dishes or announce your events through the slider. No matter what you choose to put in it, you can be sure it will attract the attention of your visitors. Arriba has a great reservation form with the help of which your visitors will be able to book a table at your place right there on your website with just few clicks. The theme also has a locations section where you will be able to put Google Maps integration and show your visitors the exact location of your website. The contact form is also placed in the locations section. You can create your own menu and categorize it easily via the drop down menu this theme provides, so your visitors can easily find exactly what they are looking for. The theme also has a blog section where you can put as many posts as you want for your visitors to check out. With the Arriba theme it will be very easy for you to place all of your best dishes on your homepage including the most popular ones and the newest ones, along with announcements of upcoming events in your restaurant. 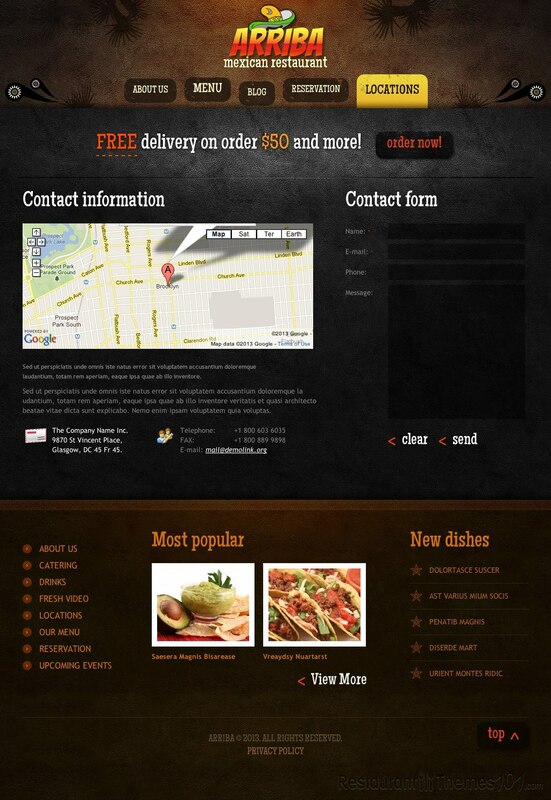 You can also add testimonials from your employees and your satisfied customers to your website.